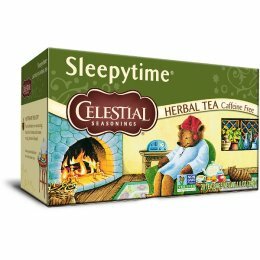 Celestial seasoning has been making great tasting, all natural teas for over 40 years in order to help people live more healthy lives. Today, it is one of the largest speciality tea manufacturers in North America, using ingredients sourced from over 35 countries to create unique tasting tea. Celestial Seasoning’s tea is also environmentally sustainable, using biodegradable tea bags which do not contain starch or gluten, making them suitable for everyone while also kind to the environment. Its packaging is made from mostly recycled packaging which can be recycled again after use and has reduced the amount it sends to landfills by 60% in the past few years. Celestial Seasoning is passionate about ethical trading, purchasing ingredients directly from the farmers and communities that grown them, personally selecting only the highest quality ingredients to produce great tasting natural teas.